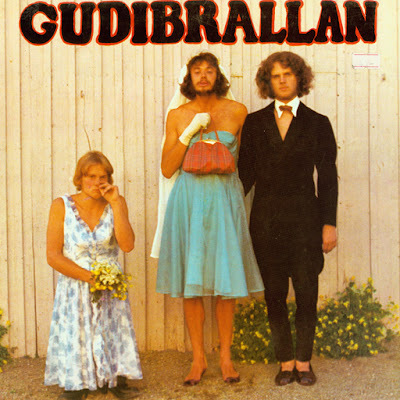 Gudibrallan was the very first punk band in Sweden and that was long before the word was even invented! They had the perfect punk-rock attitude: no one could really play and some friends, or any one who felt like it, used to join them on stage. They made fun of the intellectual left wing and the government and they showed solidarity with the lowest dregs of society. They didn't exactly try to hide their opinions; they shouted them out loudly and straight on, no poetry. 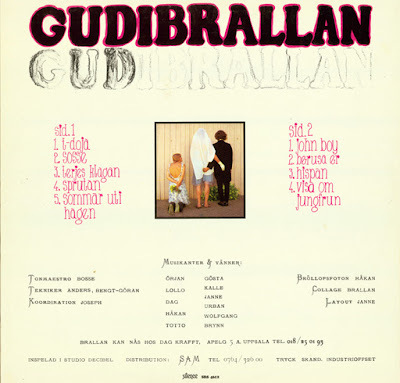 Gudibrallan could be one of the reasons why the Silence label was investigated by the S-PO (The Swedish CIA) for years. Gudibrallan adheres most closely to the sound of Trad Gras Och Stenar, channeling a similar mix of hippy looseness and punk attitude, albeit in a more conventional rock context with less of the locked-riff mantra jamming that Trad Gras is known for. They make up for it with faster playing and upping the energy several notches, even when they manage to blend Swedish folk music into tracks like "Visa Om Jungfrun" ." Otherwise it's deranged garage rock on the progressive side, sung in Swedish and played with reckless abandon and infectious enthusiasm. 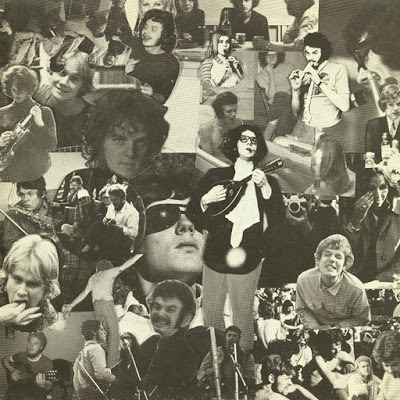 Imho this is their best LP,much more inspired than their 1st one ,Uti vår hage, and actually one of the most beatiful of the early 70s Shedish freaked out folk(?! )-rock scene. This album is great, but please take note that Silence, the original label, reissued it in its entirety on a CD that also includes a few tracks from the Uti Vår Hage LP (their first.) That disc, called T-doja, is still available from Amazon, Forced Exposure and others. Fantastic album, I love it! Thanks so much for posting this! Is there any chance you could post Gudibrallan's first album for us? I know you didn't like it as much as their second album, but like Christian, I'm still curious to hear it and judge for myself. If you can do this, great! If not, I understand. Thanks again!